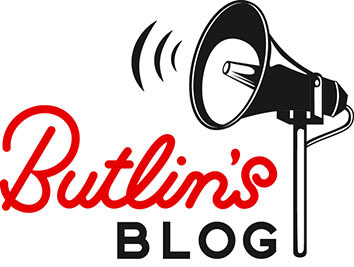 Ahead of our Butlin’s Just For Tots breaks we wanted to find out how UK parents really feel about bedtime. I know that especially when summer holidays come to a close, settling the little one back into a bedtime routine can be… well, a nightmare. So, we asked 1,000 UK parents and found that a fifth agree that this time is the most difficult in the year to get their children off to sleep. Did you know that UK parents spend almost a whole WEEK each year trying to convince their kids to drift off and that one in eight admit it’s the most stressful part of their day? We found that actually while over half of parents (myself included) use stories as the main part of the bedtime routine, a tenth worry that they aren’t good enough at storytelling. Bedtime reading in our Shoreline hotel cabins! However some suggestions were definitely less than traditional, with some children wanting the hero to carry a Light Saber, an Xbox One and even Dr Who’s classic Sonic Screwdriver! One child wanted the action to take place on the Top Gear racetrack while another was adamant the story should follow the adventures of Lionel Messi! Using these findings, we’ve put together the perfect storytelling pack for parents, like you and me, to take the stress out of bedtime. The pack is complete with all the characters and scenes needed for the story. As part of Butlin’s support of Great Ormond Street Hospital we’ve donated some of the storyboxes to the Play Team to help bring some happiness to the children at GOSH. We’ve also teamed up with storytelling expert Alexandra Charalambous to develop a guide that will turn parents into the perfect bedtime storytellers. Step 1 – For the first 30 seconds, create sounds to set the scene – like a door banging (Bang!) or an owl tooting (tweet-to-wooo). Add narration in between these sounds to draw your child in and capture their interest immediately. Step 2 – Ask your child if they can guess where the story is set and what might happen in this story. Predicting the events help children with understanding more about the story. Step 3 – Now you can begin the story with an opening line such as ‘A long, long time ago’, ‘In a far off land…’Say these slowly and smoothly and in your natural voice as you are narrating. Describe the characters by using words such as ‘She had luscious, long locks’ or ‘His voice was as gruff as a bear’s’. Step 4 – As the story progresses, add noisy sounds to make the story more animated. Whoosh! Clang! Weeeeee! AHHHHHH!!!! The more involved you are, the more fun you and your child will have. Step 5 – You are now about half way through and building up to the most exciting part of the story. Say some parts louder, quieter or even sing parts. Using your eyes and facial expression will enable your voice to sound more expressive. 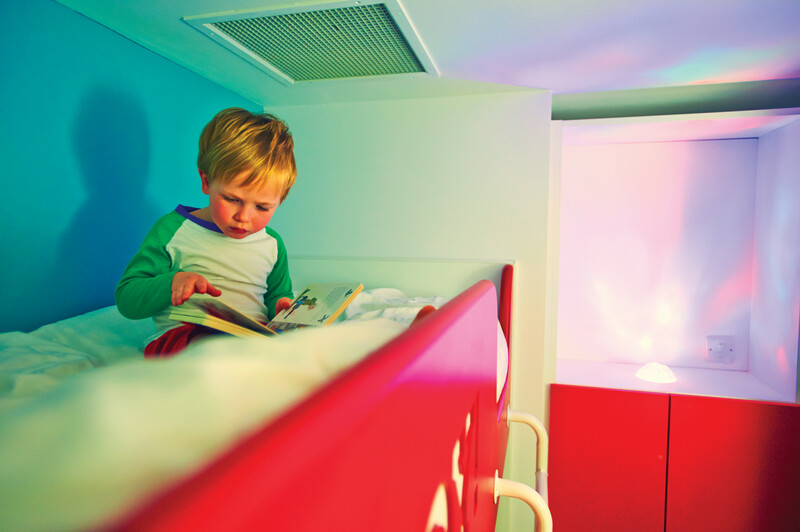 You could pick up the pace by speaking faster which should keep your child on the edge of their bed! Step 7 – Now heading towards the last minute of the story, you should slow the pace of your storytelling and use a quieter voice so that your child knows it is coming to an end. Your voice needs to be smooth, gentle and breathy; this will relax your child and promote sleepiness. Step 8 – When the story ends, ask your child what their favourite part was. They may have questions themselves. Make sure you answer them as they may not be able to sleep if they have unanswered questions! There you have it! The perfect guide to settling your little one down during the summer months!